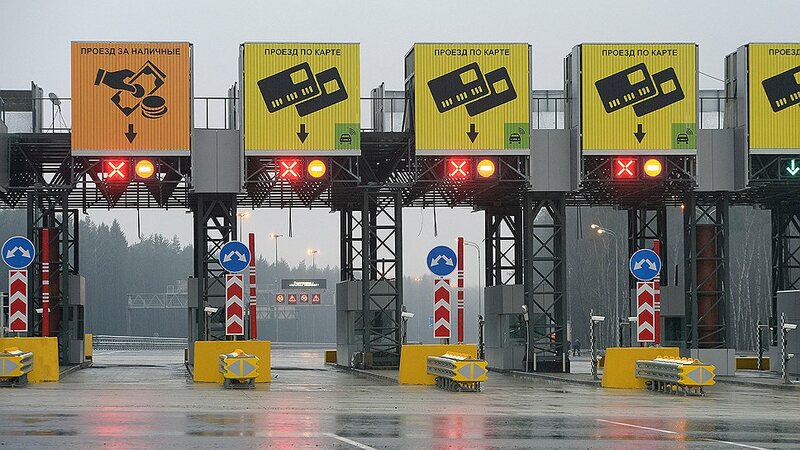 Head section of the toll road M11 from Moscow to St. Petersburg has opened. 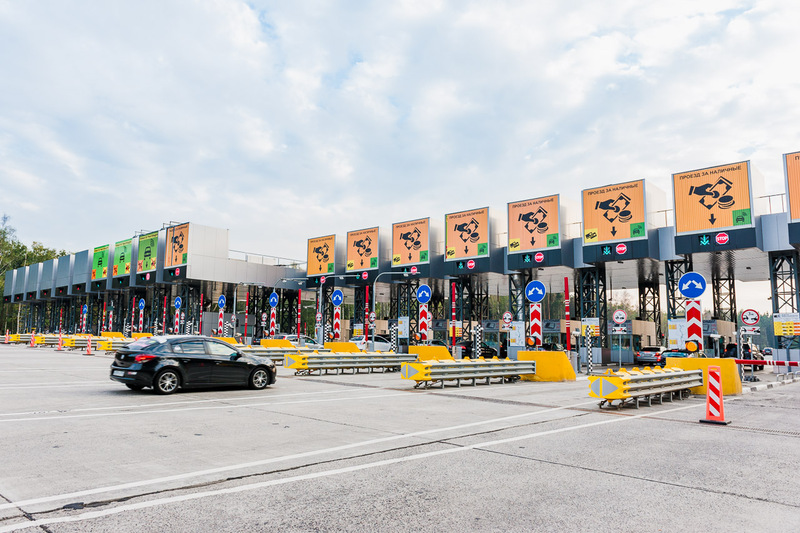 This part of the road – from the 15th to the 58th kilometer –will provide access to the Sheremetyevo International Airport and suburban towns: Khimki, Dolgoprudny, Schodnya and Zelenograd. It starts at Festivalnaya Street, and then proceeds to Korovinskoe and Dmitrovskoe highways. Now it will be possible to reach the airport in five minutes, avoiding traffic jams. At the beginning of the road, digital displays and signs throughout its length are set. Despite the fact that it will be a toll road, it will stay free up to July 1, 2015. Exact fares will be determined by that time. The estimated cost will be 300 rubles (€4.18). Sheremetyevo Airport will be reached by paying only 100 rubles (€1.39). There will be several opportunities to pay for the passage: cash, credit cards, mobile banking or annual subscription. 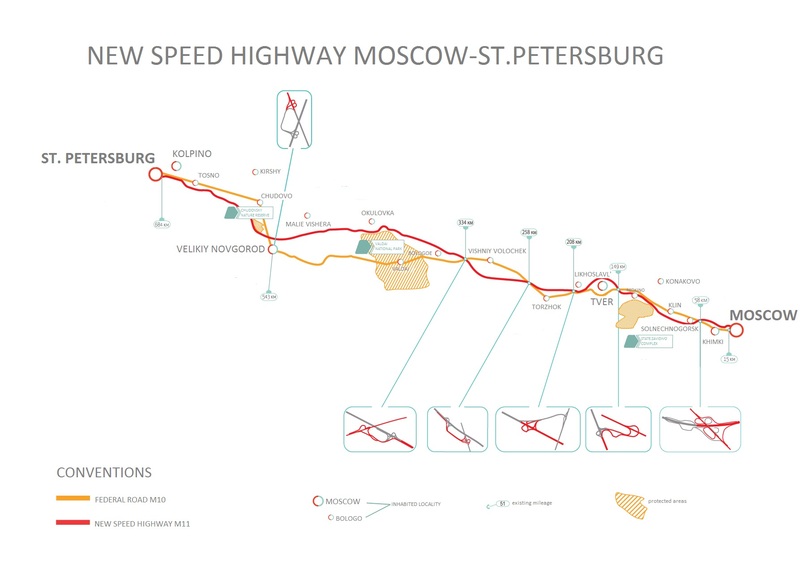 M11 will stretch from the Moscow Ring Road to Saint Petersburg Ring Road. Its total length will be 669 km. The route will pass through the territories of Central and Northwestern Federal Districts, through Moscow, Tver, Novgorod and Leningrad regions bypassing all settlements. The calculated speed at the highway is 150 km/h; the number of lanes will vary from 4 to 10 depending on the construction stages. It is planned to complete the construction in 2017.